PHILADELPHIA -- The missing CEO of a Philadelphia based company has been confirmed among the dead in the Amtrak train derailment in Philadelphia's Port Richmond section. 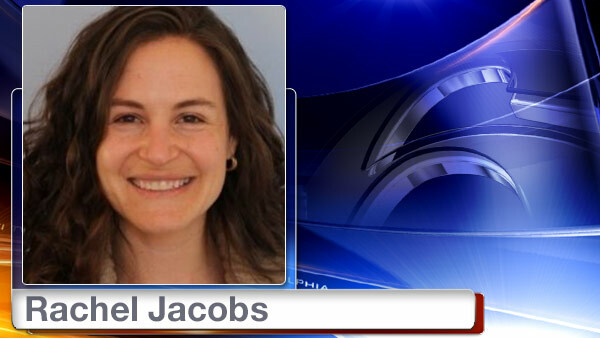 Rachel Jacobs was the CEO of ApprenNet - a company that operates from the University City Science Center. "This is an unthinkable tragedy. Rachel was a wonderful mother, daughter, sister, wife and friend. She was devoted to her family, her community and the pursuit of social justice. We cannot imagine life without her. We respectfully ask for privacy so that we can begin the process of grieving." Co-workers say she left work early Tuesday night to catch the train. "We had a work meeting and she left at 8:46 to get on at 9:00 and she texted her husband to say that she had got on the train," said Emily Foote, AppreNET. Wells Fargo has also confirmed that one of their executives has been confirmed as one of the seven people who died in an Amtrak train derailment on Tuesday night. The VP has been identified as Abid Gilani. 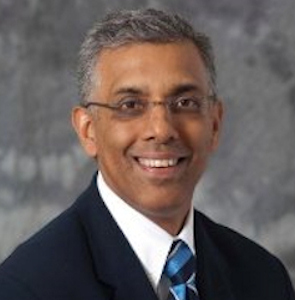 "It is with great sadness that Wells Fargo confirms that Abid Gilani, a valued member of our Commercial Real Estate division, has passed away. Our hearts go out to all those impacted by this tragedy," the company said in a statement. A U.S. Naval Academy midshipman and an Associated Press staffer are also among those who are confirmed dead. ABC News said the victim's mother has identified the midshipman as 20-year-old Justin Zemser of Rockaway Beach, New York. "He was a loving son, nephew and cousin who was very community minded. This tragedy has shocked us all in the worse way and we wish to spend this time grieving with our close family and friends" said Susan Zemser, mother. U,S. naval Academy Midshipman Justin Zemser was among the people who was killed in a deadly Amtrak train derailment in Philadelphia on Tuesday, May 12, 2015. In a statement Wednesday morning, the school said the midshipman was on leave and on the way home when the train derailed. The school in Annapolis, Maryland, notified the brigade of midshipmen, staff and faculty on Wednesday morning. Meanwhile, the Associated Press said staffer Jim Gaines, a 48-year-old father of two, was also among the victims. His wife, Jacqueline, confirmed his death. The AP said Gaines had attended meetings in Washington and was returning home to Plainsboro, New Jersey. Gaines joined the AP in 1998 and was a key factor in nearly all of the news agency's video initiatives, the AP said, including a service providing live video to hundreds of clients worldwide. Meanwhile there are still a number of people still unaccounted for. A family resource center has been set up at the Pennsylvania Convention Center Marriott Hotel. Anyone searching for their missing loved one is urged to call 1-800-523-9101. Meanwhile, in the midst of this tragedy are also stories of survival including former Pennsylvania congressman Patrick Murphy who was on board the train. He was on his way home from a business trip to Washington D.C.
Murphy, an Iraq war veteran, says he never experienced anything quite like that. "Next thing you know, the car geared to the left at first and finally over to the right. I'm 6'1" and about 200 pounds but I was thrown like a rag-doll like everyone else," said Murphy. Murphy suffered a few bumps and bruises but says he feels fine. We also spoke with a passenger Jeff Cutler who lives in Brooklyn but grew up in West Oak Lane. He took a hit to the head and leg as his train car tumbled but all things considered, Cutler says he is a grateful man. "It was enough of a concern that they wanted to x-ray it. I'm mobile and I can walk - a slight limp - but there is no break. I'm luck I'm standing here," said Cutler.